A proposed change to the Franking Commission, which oversees mass communications' regulations for Congress, had legislators and others calling for more leeway for government representatives to use social media. Congress has regulated the ways its members communicate with their constituents since 1775 when it established the first "franking" privileges in order to separate election business from tax-payer funded outreach. One of the primary means was mass mailings. The Franking Commission, formally established in 1973, has seen its role expand from overseeing mail-based communications to covering new media and social networking conversations. 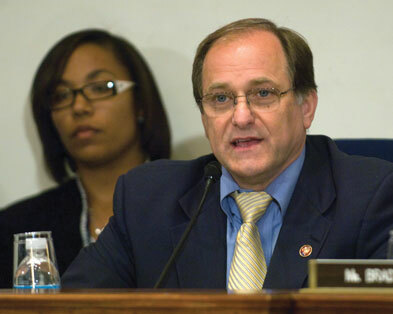 Current regulations prohibit members of Congress from posting video on a Web site with commercial or political advertising, or the use of taxpayer-funded resources to post outside of the House.gov domain, according to a statement from Rep. Michael Capuano (D-MA), chairman of the Franking Commission. Capuano recently proposed reviewing those rules, which set off commentary from both sides, mainly calling for looser social media restrictions from members who frequently blog and even Twitter from their Blackberrys. One vocal Twitter, Rep. John Culberson (R-TX), in a letter to Speaker of the House Nancy Pelosi (D-CA), recommended "that our House rules treat communications over new media outlets on the Internet the same way we treat communication over the old, traditional media outlets. That is, without any restrictions except for common sense, including no video or photographs from the House floor." His colleague, House Minority Leader John Boehner (R-OH), too, spoke out for more freedom in the social media arena. Pelosi's written response to Boehner suggested she too saw the value of social media. "Like many other members," she writes, "I have a blog, use YouTube, Flickr, Facebook, Digg... to communicate with constituents, and I believe they are vital tools toward increasing transparency... accountability." Partisan politics aside, the Franking Commission's rules are no doubt outdated for the new media communications of today's legislators. "Corporations understand that in order for them to succeed, they have to not just speak at people, but... communicate with them," says Jeff Mascott, managing director at Adfero Group. "As consumers become more... accustomed to engaging with corporations [through social media], they're going to demand that they have the same access to members of Congress. Individual members need to understand that, but also for Congress as an institution, it's incumbent for it to realize that's where things are headed. Otherwise... Congress as an institution risks becoming irrelevant." The Sunlight Foundation, a nonprofit that supports the use of technology in government transparency, reached out to the public and legislators with its July 10 launch of LetOurCongressTweet.org. In a statement for the launch, its cofounder and executive director, Ellen Miller, said, "Congressional rules should not prevent lawmakers from joining us in online conversations... We created Let Our Congress Tweet to ensure that when Congress writes new rules, they allow lawmakers to use the same communication technologies their constituents already do." The site features a petition, urging the Commission to change the rules governing legislator communications, a sign-up page to join a mailing list, and links to news on the subject. The group realized that the debate provided it a rare moment of public attention to highlight the online platforms where many citizens discuss political issues, says Gabriela Schneider, the group's communications director. "When a member of Congress posts a YouTube video of a committee hearing, they're technically breaking the rules," Gabriela says. "[These are] rules that aren't enforced, but we want to advocate that Congress modernize its ways of communicating with the public, and to have a conversation where people are congregating," she says. "People are doing that on MySpace, Facebook, and Twitter, and we want to make sure that... the new rules give Congress the freedom to interact with the public where we already are."